But not many know the truth: that the lines of drakes are weakening. If they fail, war with the neighboring Corvantine Empire will follow swiftly. The Syndicate's last hope resides in whispers of the existence of another breed of drake, far more powerful than the rest, and the few who have been chosen by fate to seek it. Anthony Ryan is the author of the Raven’s Shadow novels, including Blood Song, Tower Lord and Queen of Fire. 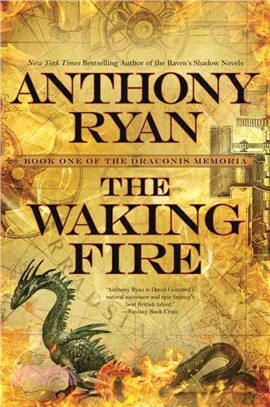 The Waking Fire is the first novel in the Draconis Memoria series. He lives in London, where he is at work on his next book.